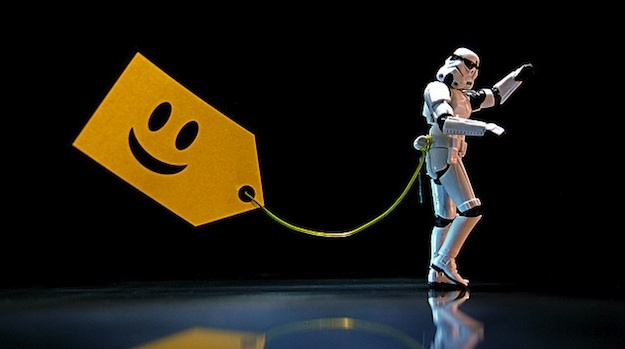 Let’s get straight to it – tags can be good for your blog. They can assist in easy navigation of related topics, and can help search engines in better understanding the relevance of your site to specific topics. However, they can also be of little use in (or even detrimental to) effective navigation of some blogs, and will not have the kind of miraculous effect on your search engine rankings that some might have you believe. Today I would like to explore exactly what tags are, how they can benefit WordPress bloggers, and how they can be successfully implemented and managed. Once you’re done here, you will know whether tagging is right for your blog (or not). There is a great deal of confusion in the blogosphere as to exactly what tags are, and how they should be used. This has culminated in a proliferation of “tag stuffing” (the baby brother of “keyword stuffing”), which essentially renders tagging useless in terms of effective navigation and SEO. But the definition is quite simple. Lorelle put it best by defining categories as your blog’s table of contents, and tags as your blog’s index words. Say you owned a recipes website. Your recipes might be categorized by meal type (e.g. breakfast, lunch, dessert, etc), which gives the user a great starting point in finding what they want. A reader finds a great chicken dinner dish, and is interested in finding more chicken recipes on your site. This is where a “chicken” tag, linked to on every chicken recipe post, would be very helpful. 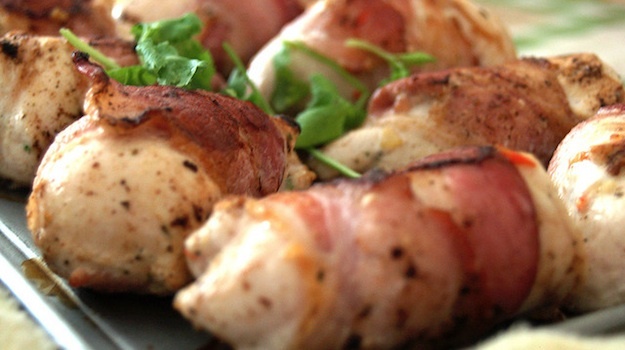 Chicken – tasty, and taggable. The above is an example of how tags can be used as a genuinely useful navigation aid, and can also lead to increased engagement (as readers find it easier to locate the kind of content that they are interested in). Not only that, it helps provide Google with further context as to the relevance of your site. Although my chicken recipes example is a great one for promoting effective tag usage, it does not mean that tagging is right for you. After all, how often do you use tags on blogs? Perhaps not very often (although that is probably more due to the shockingly poor usage of tags amongst the vast majority of blogs than anything else). The navigational aid argument is only valid if you can demonstrate that tagging will be more useful to your readers than most alternative forms of navigation. Why? Because any more than say 3-4 methods of navigation will only serve to overwhelm your reader. If you already have your main navigation bar, categories, and a search box, will tagging add further value? That is the question you need to ask yourself. 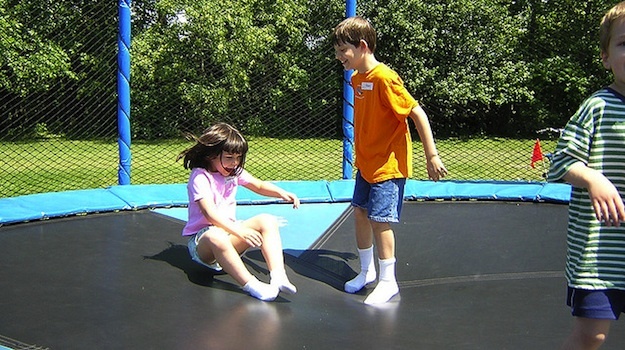 If you overwhelm visitors with options, they’ll bounce off quicker than kids on a trampoline. Ultimately, the decision to tag (or not) is down to you. If you tag correctly, there is no real downside (other than the time investment required in creating and maintaining tags, which will be explored below). If you feel that it will benefit your users, and/or you are happy to do the work in the hope that it will positively affect your rankings, you should include them. If you do make the decision to tag, you must make sure that you do so in the correct fashion. Poor tagging practice will do you site no good, and may even have a detrimental impact. The good news is that tagging effectively is not particularly difficult. The key is to tag sparingly and efficiently. By this I mean that each tag you use must be highly relevant to the content in the post you are tagging, and the tag in question should be short (ideally no more than two words) and specific. Say for instance you wrote a post about a WordPress plugin that improves the visual editor. Some highly relevant tags would be “wordpress”, “plugins”, and “visual editor”. All three are directly related to the subject matter addressed in the post. Some might argue against the inclusion of certain tags if categories already offer up similar context, but I personally do not mind a bit of overlap. What wouldn’t be a useful tag is “plugin development”. Although plugin development is technically related to the post in that you have written about a plugin (that was obviously developed), it is not relevant enough to warrant tagging. Tags can be both underused and overused. There is little point in having a tag if it is only used 2-3 times – that points to it being a term that is not particularly relevant to your blog as a whole. On the flip side, if almost all of your posts have the same tag(s), you know that those tag(s) are too general and do not offer value as a navigational aid. The key when tagging is to ask yourself if you would be drawn to click on the tag when reaching say the bottom of the post. If I read the example post above, I could well be interested in reading more on that blog about WordPress, plugins, and/or the visual editor. Therefore, I would deem them useful tags. That may sound overly dramatic, but in deciding to tag, you must accept that time will need to be set aside to both create and maintain them. Tagging shouldn’t be done half-heartedly – each one should be carefully considered, and that takes time. Furthermore, you will need to set aside a few minutes perhaps every month or so to manage your tags. You will be merging duplicate tags (use this plugin to make that process easy) and deleting overused/underused tags. If you do not carry out regular maintenance, you will end up with a bloated list of tags that is useful to no one. Do You Tag? Will You Tag? So that’s the skinny on tagging folks. Are you already a tagger? Or are you now planning on becoming one? Let us know in the comments section! I overused tags in my blog. I have 5678 tags in 435 posts. Can I delete some of these without penalty? I have eliminated all tags, but my posts still show the “Tags:” label. How do I get rid of that? Check the theme and remove the the_tags(); function to completely remove tags. I cannot find the tagging and categories in my dashboard. where we can find it ? When you create or edit a post, you’ll find the tags and categories in the right sidebar. I’m cornfused. Are tags and categories just an aid for people to navigate/find their way around your blog? Are do they play a role in helping search engines find your blog? Search engines can read them. They assess your content and your tags. Tags role is to improve user experience (if done right). Your blog ranks higher if you provide better content and better user experience. So if you can tag correctly you can expect your blog will be more findable. I am going to start my new blog on ICCTwenty20 World Cup and this article will help me a lot to use tags. I have only one question about using tags. Should we use our Keyword in Title, First paragraph of the article every time ? I had a complete misunderstanding of taging and slugs. I am new to blogging and trying to get my head around the whole thing. I think you’ve explained tagging well enough to make it clear that I need to go back, clear all the tags I stuffed in, and start all over. Thanks so much. Very good informative article about TAG . Thanks for such a detailed description regarding the use of tagging. Very helpful to newbies to blogging like myself. Thanks for a great article on Tags, Tom. As you mentioned, it a commitment and when executed correctly can help the navigation to a nice sized website. I lvoe the use of tags and how they aid in navigation, but it really irritates me when I visit a site that isn’t using them correctly or totally overdoes it. IF you make the choice to be a tagger, tag correctly or leave it up to your categories and be done with it! Thank you Chris! Great article. I am new to WordPress and trying to set up my site navigation. Having developed only static web pages in the past I am struggling with the basic setup. This really helped. Much appreciation!! Thank you for your article! It helped me a suitable arrangement in concurrence how effectively tag. I’m just starting out concerning my blog therefore this was utterly pleasant to gain! Thanks for the post! I think keeping tags to a minimum is a good idea, but some are a good idea as they can be useful for navigating the blogs. The thing you really need to do, though, is make sure to no-index the tag pages. Otherwise you can run into duplicate content issues. the penalization is for these wrong tags ? Thank you for your informative article post! It helped me a lot, I understanding how effectively tag woks for SEO purpose and it is good for extra traffic. I am just starting out on my blog so this was very helpful. Thank you for your very helpful post about tags. You have helped me more fully understand what was very much a grey area for me. Hi, im getting tag options for my posts but not for products, how to turn on tag option for products ? I have a questions that I have not yet be able to find a definite answer and you seem pretty clued up on the tag issue so I hope you can help? Would it do any harm (seo wise) or cause any other implications? As you can see my main categories in the Nav menu are “Dog Collar Reviews” and “Dog Collar Buying Guides” then I have added 2 other menus that pull all of the articles that contain those tags that are related to “Leather Collars” and “Metal Collars”. from a site user point of view I think it works well just not sure about the SEO implications. Also I have tags set up not to be indexed to avoid duplicate content too. I like the contents / index analogy. I think the key to effective tagging is to create a structure. For me, I never create a new tag as part of creating a post. If I create a new tag, I create it manually within the dashboard before I use it. I add title, description, meta data, featured image (sometimes) etc. I then have a tag index page which displays the tags in index format with title and description. All my tags relate to the same thing so they are consistent rather than random words. I even renamed ‘tag’ and also changed its name in my breadcrumbs. That is a REALLY good way to look at tagging. That way you are sure that all tags are relevant, and that they will be used. Glad you liked the article. You’re welcome John! Thanks for the great article. I guess I’m one of the many who don’t know tags from horseshoes. i’ve got some posts with way too many tags. I can see that now. Thanks again. Thanks for this great article! If I have a post under a certain category (let’s say “flowers”), should I also add the “flowers” tag to it? motoryachts -> mallorca, menorca etc. should i also tag it for: motoryacht, ibiza, mallorca? whats the difference between just tagging it in the backend and showing the tags on my single page? what happens if i tag them but dont show the tags (links) on my single page? does that have any effect than? i dont know if i should do, because it will always be the same tags and category. know what i mean? Thank you for an informative article! Exactly the information I needed to know. I thought we were using WAY too many tags on our blog, and now I’m absolutely certain. I appreciate your help! Let’s say I’m writing about blog about flowers and that this particular post is about how to grow a daisy. 1) Do I tag with “daisy” or “daisies” or both? 1) Since the words “daisy” or “daisies” is/are already in the post, and therefore anyone interested in daisies could find this post by searching the site for “daisies,” isn’t it superfluous to add a tag for “daisies”? Not an expert, but I’ve been adding both “daisy” and “daisies” sorts of tags, however, I’m now pretty sure this is a superfluous practice like you suspect. Just a comment from an SEO analyst’s point of view – too many non-relevant tags are a real pain for optimizing a site, especially if the SEO person is third-party (hired) and not familiar with the source of the tag’s usage. If in a chicken recipe blog, you say that you were talking to a diesel trucker about a recipe, then list ‘diesel’ as a tag, that is irrelevant to your topic. It doesn’t fit. Please don’t use it! I am thankful I ran across your post… question for you. All of a sudden I have seen a sharp drop in stats. I noticed my referrals from search engines was sharply down… I contacted Google, (i am not a “computer person”) but they said “over 3500 tag/pages are indexed from my site. It’s better not to have WordPress/tags/pages (or equivalent) because they produce a lot of duplicate content in the same indexable content as already found on other pages. I wonder if this duplication has been tolerated until it reached a cut off point and adjustments were made”… in English, does that mean I need to clean up my tags? After reading your article, I see I have many with only a few posts tied to them. Should my numbers improve if I “clean them up” delete the tags that are very similar and get rid of unhelpful tags? Will that make a difference? THANK YOU!! I wish there was a way to have the same tags apply to every post (not sure I even need to be tagging, however…) My blog is a gratitude blog so I always tag it with the same words (or forget to tag). s/b “you -r- site…” ? Nice guide. I understood how to use tags now. Till now i placed tags in disorder and meaning less. The title of this article is: “WordPress Tags, Everything you need to know”, yet it doesn’t mention how to tag. Well how do you do it? Are there any step by step instruction? Where do you go in WordPress to tag? Just add tags in the tag meta box on the post screen: http://kb.siteground.com/how_to_add_tags_to_a_post_in_wordpress/. Thanks very much for this helpful text. What I’m trying to understand is: should my tags be consistent across my blog, OR relevant to the blogosphere? Here’s what I mean: say I have a dozen consistent tags that I tend to recycle in my posts. When I created them, I was looking for themes that would have more than one entry on my blog. But WordPress itself often suggests new tags, which are targeted and relevant to the post I’ve just written, but will probably never be repeated again. Say, if I mention the Woodrow Wilson International Center for Scholars, it will offer that tag. If I don’t quite plan to blog about the Center again, should I still apply it? I am pretty new to Tags & Category(WP – basically) and loved the way you have explained things. The example that you have given above and also in your Post – A Real-Life Example of How to Use Tags in WordPress for Maximum Benefit – this is somewhat like the scenario what i am trying to achieve. Still would like to confirm since tags & categories are new to me. What i have done is i have kept a main-menu name as – Sports Accessories which is a custom post type. So when anyone clicks Sports Accessories, the accessories for all the Sports show. But i want to filter this Accessory list in to various categories like – Cricket, Table-Tennis, Badminton …. So that when i click Cricket – Accessories related to that particular Sport would show. I want to confirm that using custom post type for Sports Accessories and then further categorizing them using the Cricket, Badminton, Table Tennis so on for the respective Sport type is a wise approach and in this scenario should i use Tags ? Thanks for this info! I’m still learning about all this. What I’m trying to do is figure out what widget to put on our right side bar…categories? or tags? Thanks for this info. I’m still learning about all this. I have a question, I’m trying to decide what widget to add to our right side bar…categories??? or Tags??? It’s entirely up to you. Generally categories would be there, and possibly tags too (i.e. you might have both). Personally I’m not a fan of tags in the sidebar — I put them on an archives page: http://www.leavingworkbehind.com/archives/. Thank you for your article! It helped me a great deal in understanding how effectively tag. I’m just starting out on my blog so this was very helpful! I think one of the biggest reasons people end up using too many tags simply because they don’t remember all the tags they’ve created. I have a site where I did just that. The solution for me was to create a separate list of tags, and then reference them before tagging a post. It helps me limit the number of tags I use on a post (and to use only relevant tags) and to avoid creating new/overlapping tags. Thank you for that. I have read quite a bit about taxonomies, tags ‘n categories and your post taught me something and cleared a few things up. Your chicken example is very helpful in explaining the the difference between tags and categories as well as the relationship. will tagging have any effect on people searching your blog with the internal search function? for example: if I am searching for wordpress plugins on a site with the built-in search will it bring up post/s which have been tagged with “WordPress Plugins”? Not with the standard WordPress search functionality because it is terrible! I would recommend the Relevanssi plugin which you can customize to take tags into account. If only I had read this yesterday! Somebody asked how/why to tag posts in WordPress and a reply was ‘It helps with SEO, type as many as possible’. Now I can steer them away from that as it would probably be more hazardous to the site. Thanks for this useful article, I’ll be forwarding it to everyone who has the wrong idea about tags. My pleasure Steven – thanks for all the comments! Thank yo for the good post Tom, it made Tags for me more understandable though I still have a question in my head that hasn’t been answered elsewhere. I use Categories for the whole Navigation and Tags are just an ‘addon menu’ at the bottom my question is ‘Index or not’ ? Some say either Categories ‘or’ Tags others say ‘and’ as the Sitemap is having posts, pages, categories and tags anyway ??? – What is you opinion – can this cause ‘double content’ issues ? Andy, I’m not Tom, but there’s a good chance I’ll be playing him in the anime. I always tell my clients to use tags and categories differently. You need a handful of broad categories; the grand view, the landscape. Then, you need ways to drill down to detail. Here’s the beauty of databases, which means it’s the beauty of how WordPress works: it doesn’t matter which you choose for broad and which you choose for detail, but use categories for one, tags for the other. I lean toward broad sweeping categories, and pointed specific tags. For instance, on my writing blog, I might have categories like “Excerpts,” “Style,” “Projects,” etc. My goal is to have a post in one category, but use many tags. I try to create categories which are mutually exclusive, but exhaustive. Once again, in English: in a perfect world, I’d come up with categories where no post would ever fit in more than one category, and no post would ever belong *outside* the categories. No overlap, but no gaps, like a jigsaw puzzle. I do sometimes use a tag that’s identical to the category, but I haven’t done the digging to see if I’m hurting myself, wasting my time, or doing some good. My gut tells me some people notice tags, some people notice categories, some notice both, so I’m giving everyone the best opportunity to find related posts. And that’s really the primary use of tags: help an engaged reader stay engaged by making it fun and easy to go down the rabbit hole. Best compliment I get on my writing is when someone jokingly chides me because they got sucked into one of my sites and couldn’t escape because they just kept following the tags to the next adventure. It doesn’t matter, and makes absolutely no difference in Google’s eyes. Google have actually made this perfectly clear on their official blog – I’m sure you could find the link if you looked hard enough! As a specialist in data filtering, transformation, findability and management in a previous life, tagging and categories came naturally to me. I learned years ago that normal people, those without a microchip in their head, have to learn how. This is a great start. Hey, if you’re ever interested in a guest post that takes this to the next level, I’m all yours. Note: I think the word “be” is missing from your first sentence: they can BE good . . .
Feel free to email me regarding a guest post: tom [at] managewp [dot] com – I’m curious as to how you can take this to the next level. And thanks for the heads up on the typo! Tom, part of what I always address with my clients is Andy’s comment above. Rather than futzing with posting, how’s about I just jump in up there? One thing I see WAYYYYYYYY too much of are people who use cutesy phrase-tags like “gooey awesomeness” or “choco-goodness!” Please tell me those are as useless and dumb as I think they are? Thanks Tom, I always wondered how to do tags and did it haphazardly, this helps!